Innovation is the name of the game and Anton Willis, a San Francisco designer, is no slouch. 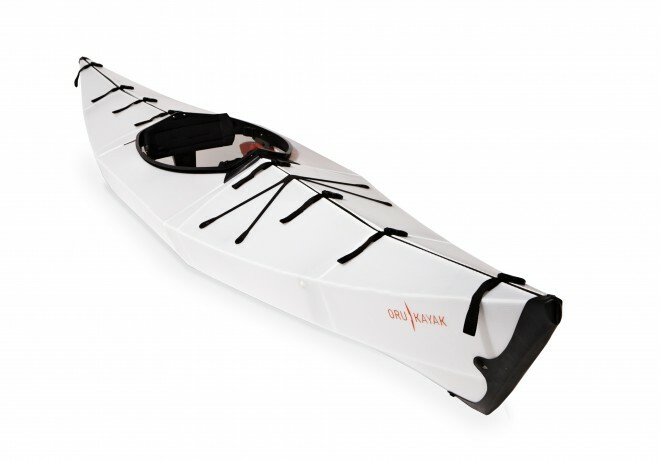 Drawing on his fascination of Origami, the California native has come up with a stylish and sensible solution for kayak storage when living in a small apartment: a folding plastic kayak based on Origami. Folding kayaks are nothing new. Most are treated fabric shells with wooden or other frame pieces that snap together in some fashion inside the shell. But Willis’ design is made of a double-layer of corrugated plastic with seams he claims can be folded 20,000 times. The frame is plastic too. Purists can, of course, recycle the whole thing when they are done with it, but I’d probably prefer to give to someone. This entry was posted in Uncategorized and tagged Anton Willis, Corrugated plastic, Innovation, Kayak, Kayaking, Origami, Oru Kayak, Paddling, San Francisco. Bookmark the permalink.